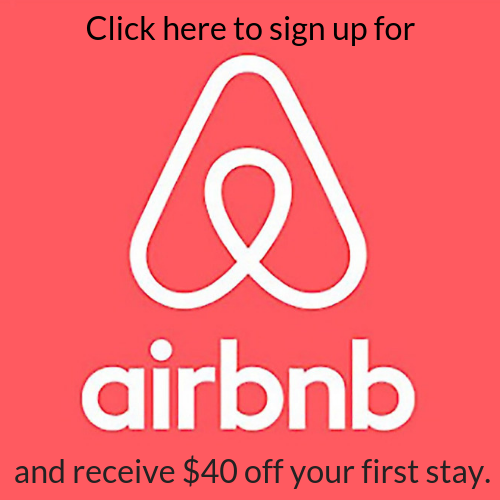 ​Disclosure: “Some of the links in this post are affiliate links. This means if you click on the link and purchase the item, I will receive a small commission at no additional cost to you. Winter has been dragging across the US and most states are wondering where Spring is but not to worry, summer is definitely coming even if you have to escape your home and travel to find it. I’ve created a list of my favorite products you can buy now to help make your summer travels as seamless as possible. No matter where you’re headed this summer you can’t avoid packing. If you haven’t discovered packing cubes yet you are seriously missing out and they will be the best travel investment you make. EzPacking Cubes have many benefits. They help you stay organized by separating your items; you can separate them by person, with everyone having their own color cube to easily identify whose clothes are where or you can treat the cubes like drawers with undergarments in one, shirts in another and so forth. Because your clothes are being compressed into a bag with a zipper you can also fit more things than you’d typically be able to. The see-through top allows you to easily see what is in each cube and since they are completely sealed it makes it easy to separate dirty and clean clothes, keeping your clean clothes smelling fresh. 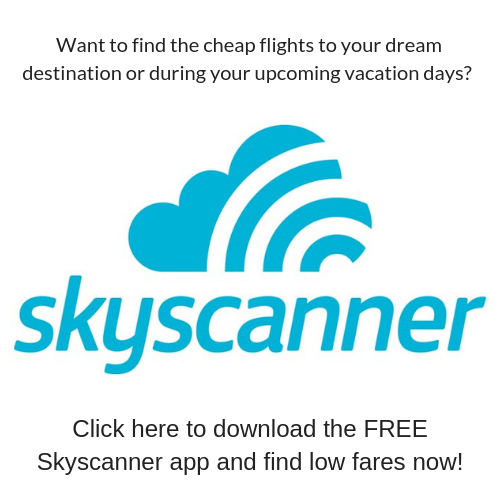 Did you get to the airport and your bag is overweight? Easily remove a cube without having to sift through and re-organize you whole bag. Plus your clothes are already in a bag so no need to search for anything to now put them in. Use promo code ‘thetravelingchild’ to save 15% off EzPacking packing cubes. Below is a video of me packing an entire weeks worth of clothes into EzPacking’s starter kit. If you you are traveling with a child an Ergobaby carrier is absolutely the best money you could ever spend to assist your travels. I’ve had my Ergobaby 360 since my eldest was born (nearly 4 years ago, insert tears) and continue to use it with my 2nd child. From allowing us to be hands free while walking through the airport to the many instances in our travels where strollers are just not an option because a city has too many stairs (Venice) or extremely crowded sidewalks and public transportation make maneuvering a stroller a nightmare. The new Omni 360 Cool Air Mesh is Ergobaby’s best carrier by far as it has every component of their other top carriers all in one. 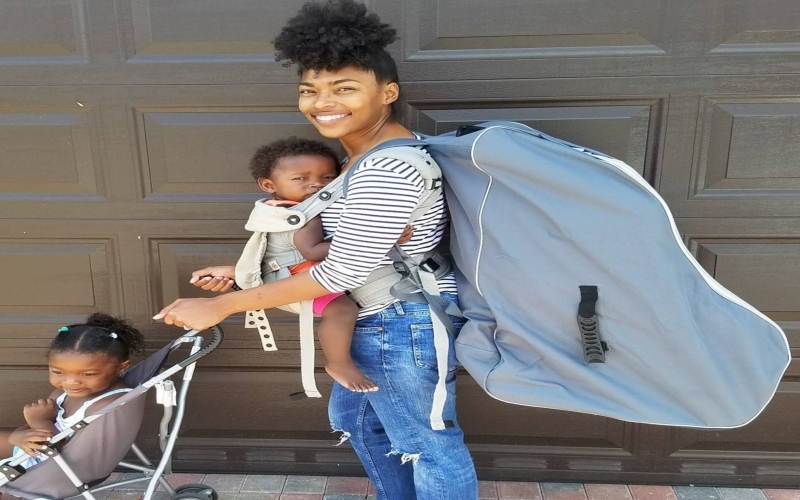 It’s newborn ready (no infant insert needed), can be used from 7-45lbs and has 4 different positions you can carry your child in: front carry facing you, front carry with baby facing out plus back and hip carry. It’s breathable fabric is perfect for the summer heat as it lets all the breeze come through the carrier to cool down your baby while keeping them close to you. 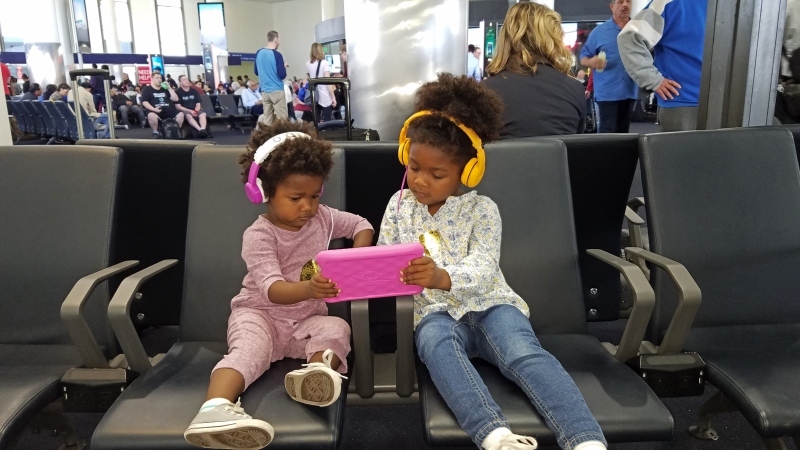 Entertainment is key when traveling with kids and this often times includes them watching movies, using apps on a tablet or listening to music. Sometimes the kids are in the back seat, other times I might fall asleep on a long flight while they are watching a movie or even at home they may be upstairs and I’m downstairs. In all of those situations it is impossible for me to make sure they aren’t ruining their ear drums by having the volume too high. This is why I love BuddyPhones, they are volume controlled headphones made specifically for kids so can’t go above a certain volume regardless of how high they turn their device up. In addition they are indestructible, saving every parent from wasting money on constantly buying new headphones since their child broke the last pair. We’ve had the BuddyPhones InFlight version for a while and now love the new BuddyPhones PLAY which has all the great features of the InFlight version but now wireless with it’s bluetooth capabilities. These headphones have a 14hr battery life and can still be connected to another set of BuddyPhones so more than one child can watch the same device at the same time (every parents dream). Watch me bend these headphones like I don’t care about my stuff and see that even your strongest child won’t be able to break them! There shouldn’t be a parent in the world that travels with a convertible/toddler car seat that doesn’t have a SmartMove Car Seat Transporter. It turns your car seat into a stroller so you can push or pull your car seat while your child is sitting in it. Be prepared to be the envy of all the other parents struggling to get through the airport with their car seat and be sure to share the love and tell them all about this product. You can read my full review here. The Brica Cover Guard Car Seat Tote serves multiple purposes. Not only does it protect your checked car seat from the dirt and grime that it no doubt will be exposed to while under the plane it also allows you two ways to transport your car seat. You wear it like a backpack and be hands free or if you don’t need to be hands free you can pull it behind you as it has wheels. I try my best not to use products with chemicals on my family and insect repellent is no different. We’ve been using Buzz Away Extreme which is an all natural insect repellent with no DEET. It’s ingredients includes Castor Oil, Geranium Oil, Soybean Oil, Cedarwood Oil, Citronella Oil, Peppermint Oil, and Lemongrass Oil. Not only is it chemical free but it also comes in 3 forms which makes it extremely easy to apply to people of all ages. For adults and older kids there is a traditional spray which comes in 2oz (perfect for team carry-on), 4oz, and 8oz. Then there is the pop-up towelette version which is great for applying to younger squirmy kids especially when applying it to their face as they may not listen to your commands to close their eyes. There are also individually wrapped towelettes perfect for just throwing in your bag. We’re so excited for our summer adventures and can’t wait to see you all on yours. Where are you headed this summer? We are heading to Paris and London this summer can’t wait! Your blog helped so much! I’m headed to Connecticut & Rhode Island this summer and I would love the packing cubes to keep my & my daughter’s things organized! The Omni 360 cool Air mesh baby carrier will come in handy since we are expecting baby number two! I have the Go Go Babyz car seat transporter much like the Brica smartmove car seat transporter and it is life safer when traveling through the airport!! Love your blog! 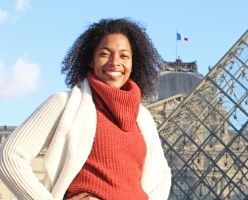 Your family’s journeys has definitely given this new mommy hope that my travel itch doesn’t have to stop! Thank you! The packing cubes or ear phones! Which one first?? 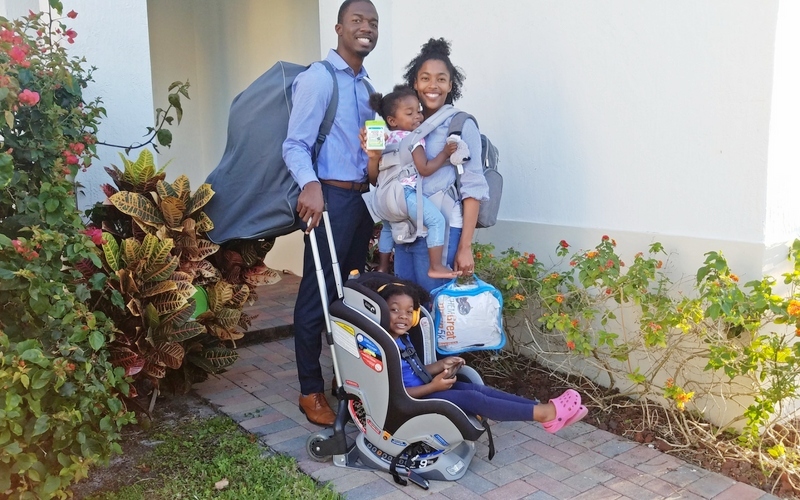 They all are so great… ok, I’d love the travel cubes to contain our family of 5… but I love baby wearing and my diaper bag is done, the backpack is a game changer!!. Hi there! I really think all of these items are game changer for parents traveling with littles! Thanks for the helpful tips on your blog! We will be traveling to Asheville, NC and San Fran this summer. The Brica Cover Guard Car Seat Tote is a must for anyone traveling with a car seat! Do you have any recommendations for noise cancelling headphones for infants?